The battle between two of the best mobile app development frameworks. The mobile app development sector has received an overwhelming response from developers over the past couple of years, but with the launch of Google’s Flutter, the rage of Native apps has slowed down gradually. Google’s Flutter helps develop cross-platform apps with ease and that is the reason behind its immense popularity. The above image is a representation of how both frameworks i.e. React Native and Flutter have neck-to-neck competition in the United States. If we look into Flutter vs react Native comparison, they have their own pros and cons and from a developers point of view, you should know the ins and outs of these frameworks. 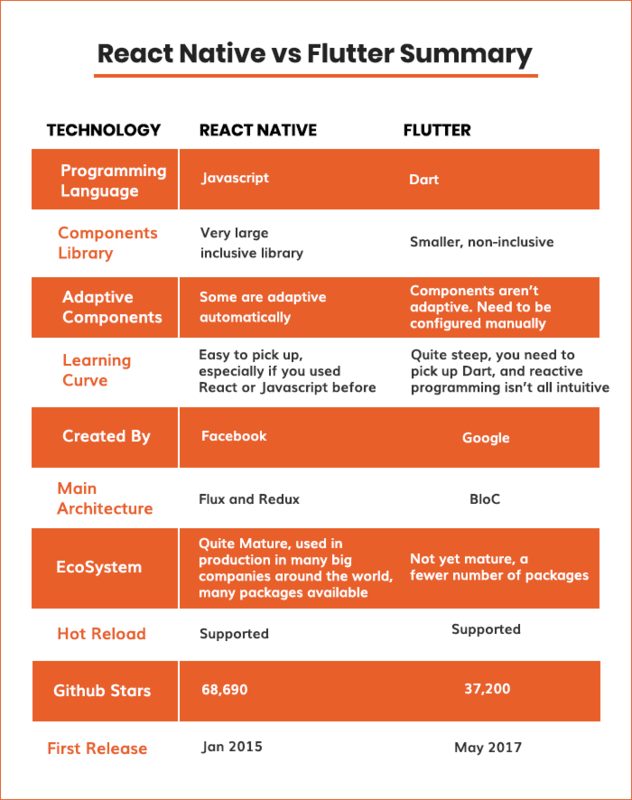 There are a number of cross-platform app development frameworks worth comparing to, but our take for today’s write-up is Flutter Vs React Native. A fair comparison of these frameworks precisely on a performance basis gives us insightful results. Verdict: Flutter takes the cake by running the animation on 60 frames per second. Using React Native for hybrid apps makes it a bit complicated for app developers to run smoothly through the architect, library, and native components. Flutter, on the other hand, makes it easy for the developers to reuse existing code. The C++ engine also backs the language, and that gives it bounty points. The Hot Reload is available on both of these hybrid platforms and if you don't know about this, it is a feature that saves the developer from recoiling the app by using the same command again and again. The Hot Reload automatically recompiles the app where changes are made to file, or you connect to a new gadget. Besides that, this feature also helps the developer by preserving the last state of the app. Hence, both React Native and Flutter offer the feature to make things easier for the developers. Flutter: It comes with an exceptionally fast hot reload function that can quickly and easily experiment, build UIs, add features, and fix bugs faster. The reload times also preserves the state on emulators, simulators, and hardware for iOS and Android. React Native: If we look at React Native, the framework offers the same capabilities as that of Flutter, but Flutter has surely stolen the thunder from it. Here, app developers have the option to speed up the development process by having their app reload automatically any time they change the code. Verdict: Flutter stole the thunder by offering very fast hot reload function. As discussed, both these frameworks possess the hot reload capability and from a developers point of view, saving time during the development process is always welcomed. And in this domain, Flutter is better. When it comes to creating the blocks for the user interface, there is a massive gap between React Native and Flutter. Flutter: The Cupertino library lacks iOS-styled form components and it is a big issue among the developers. React Native: It is based on native components and works exceptionally well with the sets of Proprietary Widgets. It helps to get comprehensively customized UI designs with good interoperability with additional native support. Verdict: React native is the winner here as it works great along with Proprietary Widgets. Since working with React Native app development smoothens the process, React Native has won the race for this section against Flutter. Google has the upper hand in documentation as it is known how to precisely provide the documentation in the most convenient way for the developers to use Flutter. On the other hand, to learn the React Native app developers have depended on the external development kit where they have to find the documentation for each one. Flutter: The process of tooling along with documentation is an extended one. And when it comes to documentation, Flutter makes it easier to go through the procedure. It further makes it easier for the developers to use the same when documenting their application. So, there is no doubt about Flutter being an impressive choice against its counterpart. React Native: Documentation with React Native is a bit clumsy. Additionally, this language misses a number of components that are quite important to smoothen the process. Verdict: Flutter leads in this section by making the documentation procedure easier. The comparison regarding tooling brings a tough competition between the two frameworks. Flutter has wide IDEs and tools that have React Native support. Its compatibility with Visual Studio Code, Android Studio etc. adds more to the prominence of Flutter framework. A bouquet of companies that have emerged recently have proved their excellence in providing on-time delivery of projects and therefore, the need to cut down on development time arises. Flutter: It is new and takes considerable time to develop projects in this particular regard. 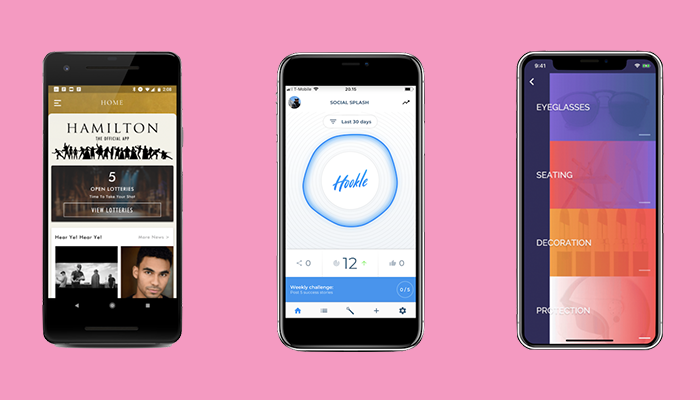 Flutter also promises high-end usability, but this app development framework also needs to get more recognition. 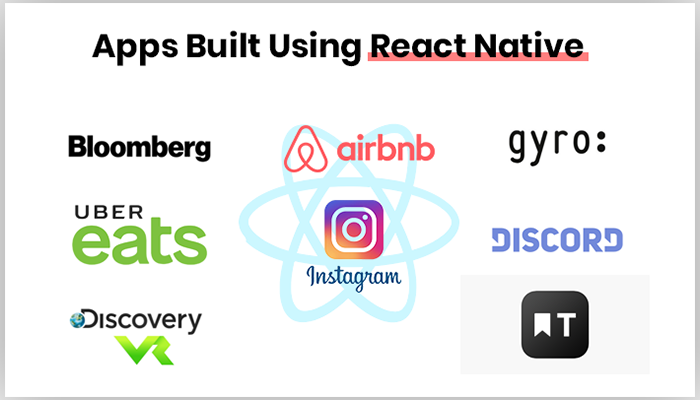 React Native: It remains one of the best companions for all these companies. This framework reduces the time-frame of developing applications, adds more to the user interface, and takes less time in developing the projects. 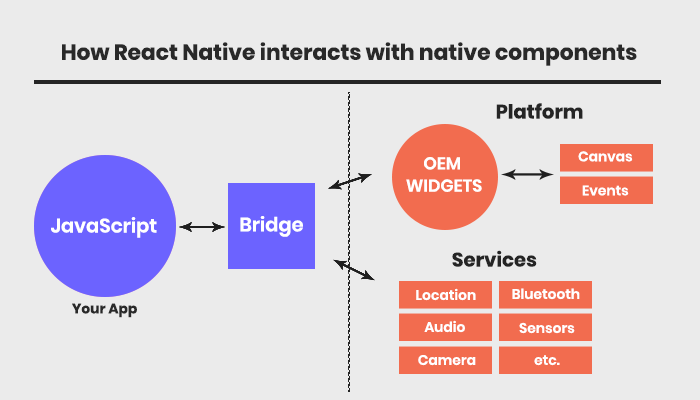 react Native has ready-to-use components that help speed up the app development landscape quite smoothly for the developers. Verdict: React Native gets the point here as it reduces the timeframe in app development procedure. Every framework is picked by the developer according to their app requirements and functionalities. And as React Native and Flutter has numerous usability, both of these have different clientele. Flutter: Flutter framework was launched a few years ago, and it is still trying to make it match the same user base as that of React Native. Still, the Google-backed framework has received significant backing from some prominent names under its hood, which include Alibaba, AppTree, Google Ads, and a few more. React Native: The popularity of React Native app development needs no mention. It is one of the most promising frameworks for developers of all ages. It has got all the required components important for accomplishing the project of any size. Talking particularly about the number of Clientele in this popular framework, it has got some big names including Skype, Facebook, Tesla, Airbnb, Instagram, Walmart and many more. Verdict: React Native takes over in the clientele segment. In the Flutter Vs React Native clash, React Native takes the lead with a more client base. The code structure remains one of the most significant aspects of the mobile app development process. Everything depends upon it and thus the output is shaped accordingly. Flutter: It seems to be more non-conventional in this aspect, as it doesn't separate the style, data, and templates for developers. This means to build a layout in Flutter you don't require any particular language like JSX and XML or any visual tool. Flutter app development framework allows you to do everything, including the UI (User Interface) on Twitter. Apart from this, almost all the required tools are easily accessible from the same locations. This approach helps in saving time and making it more convenient by eliminating the need to switch between a different mode in Flutter. React Native: On the other hand, React Native is not that mature hybrid app development framework and still requires some time before it can take on frameworks like Flutter. react Native completely lags behind in the race in this comparison. Verdict: Flutter wins this one by eliminating the need for languages like XML and JSX. Community holds great value to the mobile app development as it can help them in many ways. From learning the basics to overcome the most complicated bugs during the development, a healthy community can always come handy. 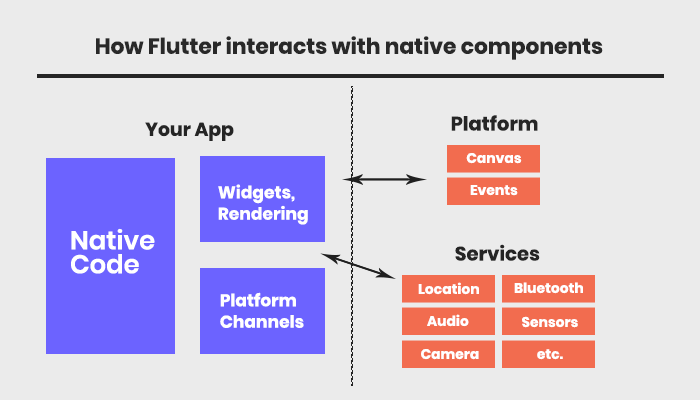 Flutter: Flutter is new to this landscape, but surprisingly, it’s growing at supersonic speed, and if the framework continues to hold the pace, it will overcome React Native in the coming time. React Native: Being older than Flutter, it has big names under its roof like Walmart, Discovery VR, Adidas Glitch, Wix, and a lot more apps that are built on this framework. For instance, the community of React native app development and the developers following it’s larger than Flutter. Verdict: React Native wins this round as it has been in the market for some additional years. Stability is one of the most prominent aspects when it comes to developing an application. And the competition seems to be a tough one here. Flutter: It was a bit lacking behind it only had an Alpha version. This mobile app development framework is not suitable for large projects. However, last year, Google announced Flutter Beta 2, which offers impressive beta tools to developers. React Native: This framework enjoys support from a huge community and is quite a stable right from its release. As the Flutter app development is still making its place in the app development industry, we would have to say, React Native seems to be the winner for this section. Verdict: React Native is more stable in comparison to the flutter app development framework. Last but not least, we have reached to one of the main segments of this React Native vs Flutter guide i.e. programming languages. Today, as an aspiring mobile app developer it is recommended to know multiple programming languages instead of just one. Flutter: It uses Dart as its primary language, which indeed adds some minus points to this framework. Dart was developed by Google and is still promoted. However, the developers who have used this programming language have talked about it in a positive manner which is a plus point for it. Flutter Vs React Native - What to choose? From User Interface (UI) to the code structure of the framework, we have covered every aspect of these two widely popular hybrid mobile app development frameworks i.e. React Native or Flutter. Have a look at this table to browse through all the points. No tools to save application state Better at simplifying the app lifecycle, management & optimization. 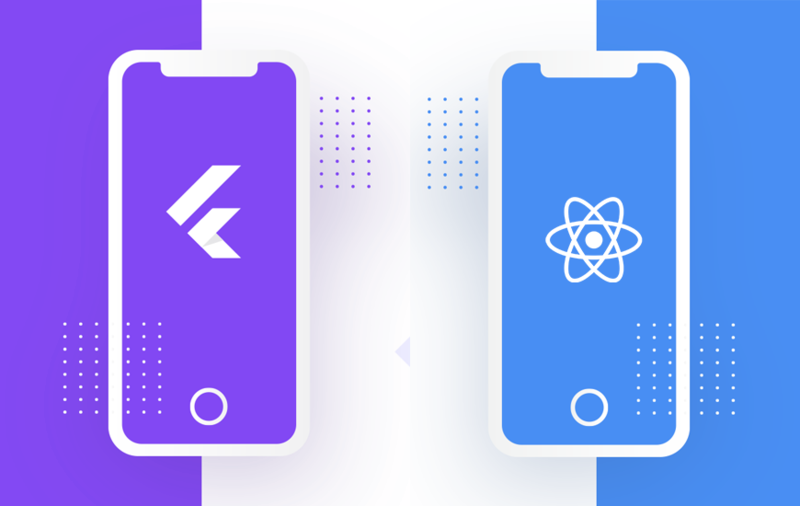 Here comes the end to an extended comparison of Flutter vs React Native and both app development frameworks have some bonus points for them. Additionally, both the frameworks have their set of pros and cons, which makes it quite tough for us to decide the winner. Flutter is strongly backed by Google and is on the rise to invade the kingdom that React Native rules. Cross-platform app development is creating the buzz owing to its capability of developing apps that could be used on a host of platforms. 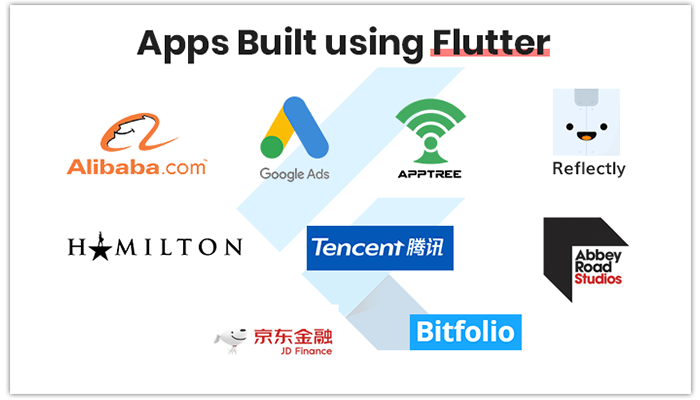 The reason why Google invested in the framework because the market related to cross-platform app development is expected to reach $7.5 billion by the end of this year and Google is hoping to take the lion’s share home by introducing Flutter as a way to develop such hybrid mobile apps. Flutter is still new and needs to travel miles to compete successfully with React Native. 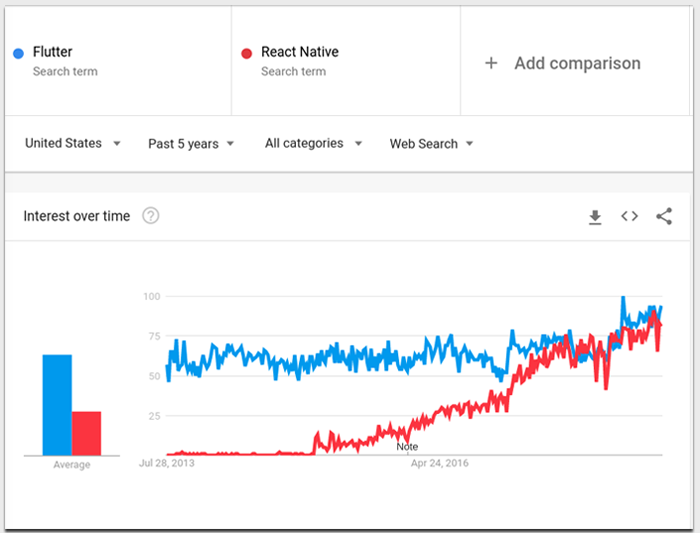 Practically speaking and taking the above discussion into consideration, React Native seems to lead the race for now and it would really be interesting to see how React Native app development will lock horns with it in the near future, as Flutter app development has an impressive future, which may outshine its counterpart in the future. For more updates on React Native or Flutter framework, make sure you follow MobileAppDaily. To stay updated with the latest updates from the mobile app industry, all you need to do is click on the ‘Subscribe’.